No one ever wants to hear the words “septic tank repair”. Except us, that is! At Hereford Septic Service we thrive on complex and logistically difficult septic system issues. 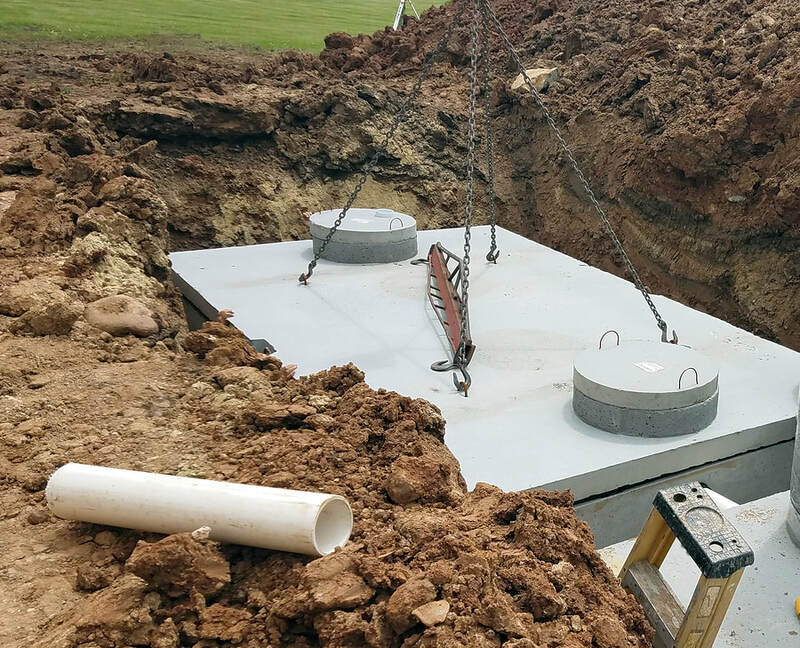 We have our troubleshooting standards down to a science, and our septic system engineers will get your septic services back in optimal condition in record time. Septic systems aren’t impervious to issues, even though they are built out of long lasting concrete and rebar. Everything wears away eventually, and if the septic system wasn’t installed properly, then issues can crop up even more quickly than they should. Whenever you get your septic tank pumped, you should always take advantage of the tank being empty to do a visual inspection. Now, we know what you’re thinking, “I’m not getting in there!”. We don’t blame you! Hereford Septic Service is here to do that very dirty job for you. We will perform a detailed inspection to make sure there aren’t any glaring structural issues or other major problems with your tank. A cracking or crumbling septic tank isn’t a good sign, but it’s better to head these situations off at the pass, rather than encounter a larger problem down the line. A septic system that doesn’t rely upon an electric pump instead relies upon proper grading to move waste products out of your home and into the septic tank. When a pipe from the house to the tank isn’t properly laid, you could potentially run into problems where the waste drains too slow and you get backflow. There is also the potential that waste material could make it’s way back up into the house. Trust us when we say that there’s nothing quite as bad as raw sewage in your home. Don’t learn the hard way on that one, we’re speaking from experience! Whenever you have an ill-maintained drainage field and septic system, you run the risk of having clogs and the resulting backflow issues. Not all clogs are from waste material though, as a matter of fact, most clogs are caused by root systems that work their way into your septic system. In order to avoid this from happening in the future, you should make sure to schedule regular maintenance with Hereford Septic Service. We can clear out that organic matter from your drainage lines and make sure that you won’t end up with waste material or water from your septic tank back up into your home! We only hire trained septic engineers and technicians to work for us. Doing this gives us a leg up over other companies in Baltimore County. To us, the work we do in Hereford is helping the community in a very unique and very necessary way. Our technicians will go the extra mile to make sure you don’t have any septic issues, and they will put the necessary hours in the get the job done, even if things aren’t going as planned.